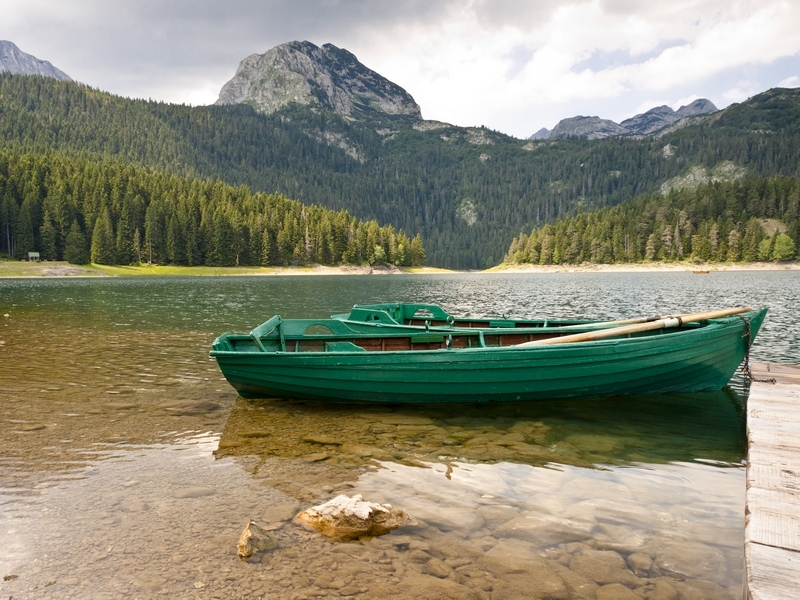 The unspoiled nature, so-called "wild beauty", makes Montenegro distinctive destination. 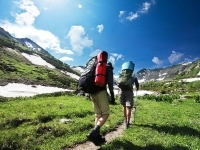 Globtour Montenegro invites You on a guided round tour to the National parks of Montenegro, as well as charming places which have been enlisted by UNESCO as World Heritage Sites. Our experienced traveler’s guide will welcome You at the airport Podgorica and show you natural beauty and explane you turbukent history of Montenegro in the next days. You drive direction North of Montenegro by air-conditioned coach. 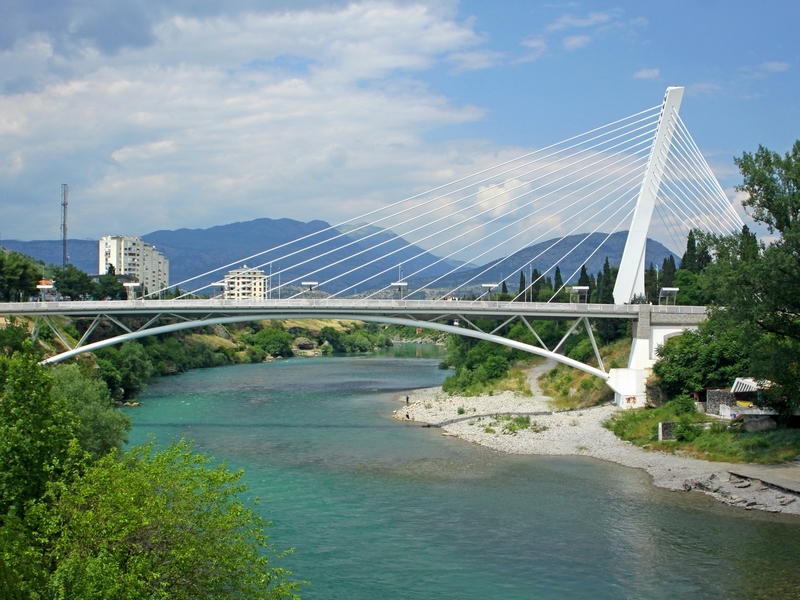 The very first day already you will have the opportunity to get a gander of the capital Podgorica, former Titograd. Mountines which surround Podgorica are only an intoduction of breathtaking area of high mountains and canyons. Only few kilometers after You exit the capital, the Moraca river will show You the way through its breathtaking canyon to the Moraca monastery. This is the great example of Serbian-orthodox sanctuary and one of three most important sanctuaries in Montenegro. Inside this monastery complex, surrounded by high walls, one can feel the peacefulness and modest life of the priests. After visit, curvy road leads You to Kolashin, famous winter resort of Montenegro. Check-in in 4-star hotel in Kolashin. Dinner and overnight stay at the hotel. After breakfast in hotel You are ready to spend lovely day in beautiful, unspoiled nature of Montenegro. In half an hour You will reach National park Bigradska gora, covered in one of Europe's last three surviving virgin forests. Thanks to its lush vagatation, rich fauna and six glacier lakes on only 5.650 ha, Biogradska gora was declared a National park in 1952. The park is simply magical to walk through. At 1094 m above sea level, in the centre of the park, beautiful Biogradsko lake is surrounded by more than 500 years old and up to 50 m high trees. You will surely enjoy the walk around Bogradsk lake (ca. 1 hour). Afterwards You turn back to Kolashin. From the foot of the mountain Bjelasica in Kolasin You will be driven by jeeps to a traditional mountain village. The small mountain huts, former houses of the herdsmen, scatter over the meadow at the height of 1750 m above the sea level. Fortify yourself for the activities ahead with an extensive, typical Montenegrin lunch, after which a few hours’ jeep ride starts. You drive along the slopes of Bjelasica mountain to make several side trips to beautiful mountain lakes and enjoy the spectacular views from the observation point at the height of 2000 meters above sea level. The breaks in between can be used for a walk or taking pictures of the pristine scenery of untouched nature. Drive back to Kolashin will be in the afternoon. Dinner and overnight stay at the hotel. After breakfst You start Your trip, passing by Kolashin and Mojkovac, through the Tara canyon direction Durmitor. You follow the river Tara and admire the deepest canyon in Europe, second deepest in the World after Grand Canyon Colorado. Due to its diverse flora and fauna, endemic species, high peaks, lakes and springs, Durmitor along with Tara canyon has been declared a National park, and since 1980 it has been placed under UNESCO’s protection and accepted as a World Heritage Site. The highlight of the excursion is the view from Djurdjevica Tara Bridge. You can take a walk or refresh in the nearby café which offers you the magnificent view to the one of Europe’s most beautiful bridges. Finally You arrive in a town Zabljak on Durmitour mountains where delicious lunch with Montengrin specialties is planned. 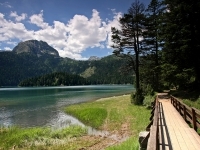 Afterwards You visit the Black lake, one of 18 so-called "Mountain's eyes" – some nourishment of the soul. Drive back to Kolashin in the afternoon. Dinner and overnight stay at the hotel. Afert breakfast You check-out from the hotel and drive through the Moraca canyon direction Podgorica. On the panoramic trip through the capital, You can take a look into it streets and discover this administrative, political, economic and educational center of Montenegro. Then the road continues to the fishing village Virpazar on Skadar Lake. Today you will enjoy a relaxing time on the biggest fresh water lake on the Balkan peninsula, uniqe natural area with diversity of fisch species, birds and plants. This is the only nesting place of pelicans in this part of Europe, which is the obvious proof of its well preserved ecosystem. 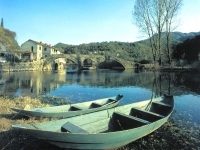 It has been a National Park since 1983 and was added, in 1996, to the World`s List of Wetlands of International Importance by the Ramsar Convention. Relax on the boat cruise (ca. 1 hour). Lunch will be served in a restaurant on the secluded beach of Pjesacac featuring lake fish specialties and local wine Vranac in an unique ambiance. In the late afternoon You rich the Montenegrin coast. 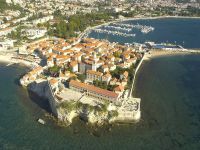 Check-in, dinner and overnight stay at 4-star hotel on the Riviera of Budva. After breakfast You drive direction Cetinje, former royal capital of Montenegro. This road goes above the Riviera of Budva. Photo stop at a place with a view of the Budva’s Riviera with its peninsula of Sveti Stefan and its beaches, a true pearl of the Adriatic coast. 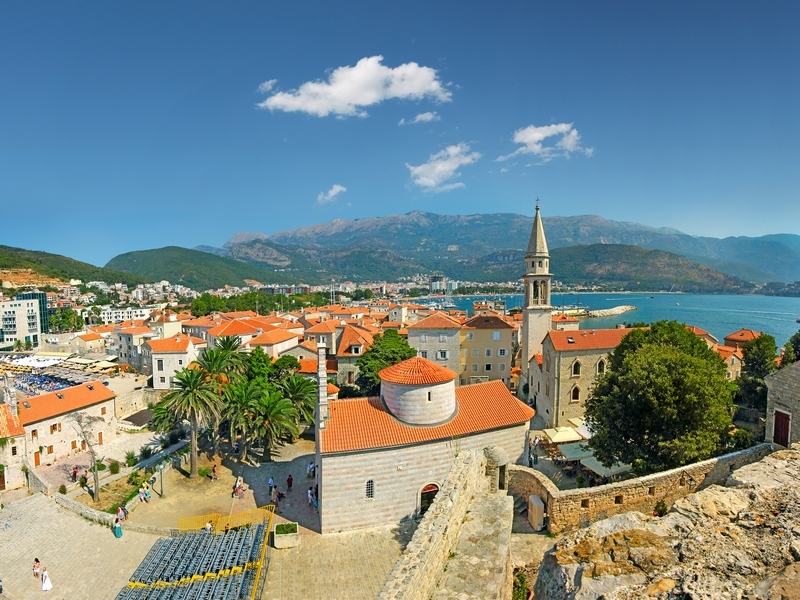 During this tour you will learn more about history and culture of Montenegro. In Cetinje You will see the bequest of the most important Montenegrins, Petrovic Dynasty, wich ruled the country over 200 years. By visiting the King Nikola’s palace, in which the last member of Petrovic Dynasty lived and ruled, our tour guide will introduce you the life of the Royal Family. You will also have free time to feel peaceful atmosphere of Cetinje, to visit Monastery of Cetinje, explore the former embassies or refresh in a café. Mountains of Lovcen strech out above Cetinje. Not only because of the natural beauties, but also turbulent history, Lovcen was declared a National park in 1952. 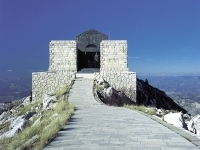 Mousoleum of Petar II Petrovic Njegos lies on its second higest peak. You drive a narrow, curvy road to the Jezerski vrh (Lake peak) and then climb 461 steps to the very top (1657 m above the sea level). Take a deep breath of the fresh air and keep your eyes wide open. As you slowly turn all around, you will be amazed by the view of the Kotor Bay, Skadar Lake, high mountains in the northern part of Montenegro, even Albania. By visiting of the Mausoleum we complete the story about Montenegrin great ruler and poet. The curvy road continues to the Njegusi village, the cradle of bishops and rulers from the Petrovic Dynasty. We make a half-hour stop at the restaurant to taste the famous Njegusi cheese, smoked ham, mead and wine. The tour continues along the curvy road on the steep slopes of Mount Lovcen to a belvedere at 900 m above sea level with spectacular views to the Boka bay. Famous British writer and poet, Lord Gordon Byron said: “The most beautiful contact between the earth and sea took place at the Montenegrin littoral”. Down the slopes back to Budva. Dinner and overnight stay at the hotel. 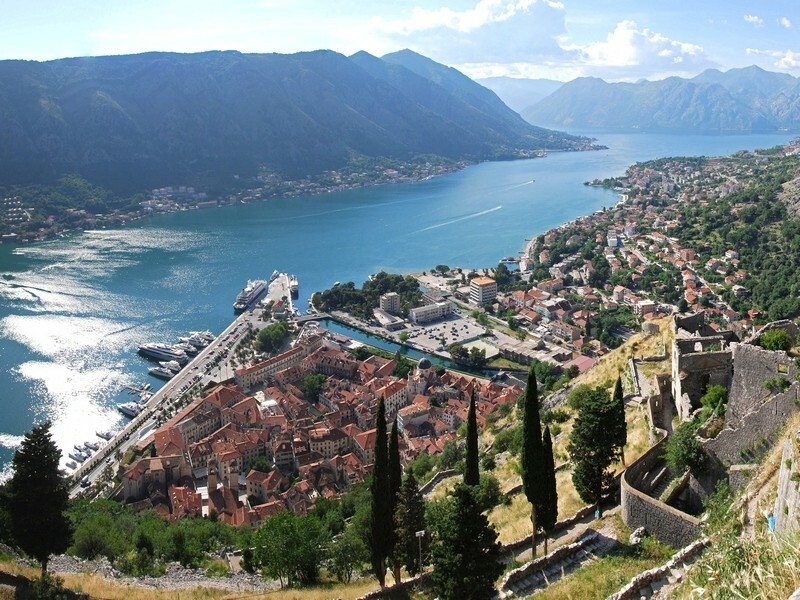 This tour leads You to one of 25 most beautiful bays in the world, Boka bay. After breakfst a half an hour drive to Kotor. Its location in the most beautiful bay in the Mediterranean Sea and the impressive medieval Old town were reason why UNESCO included this town into the list of the World`s Heritage Sites. Well preserved 4,5 km long wall was protecting this town of the pirates, nowadays it is a challenge to the visitors who desire to reach its highest point- San Giovanni fortress. On the guided tour through the Old town Kotor you pass by the palaces of the noble families, as well as by the Cathedral of Saint Tryphon, town's patron. You visit the Maritime museum, home of the long naval history and tradition of Kotor and the whole Boka bay. 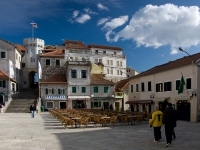 After guided tour you will have plenty of time to wonder around, enjoy a cup of coffee on the main square or even visit Green market near the Sea gate. Some small distance away, Baroque town Perast (UNESCO World Heritage Site) is situated at the foot of St. Elijah Hill, on the coast of Boka bay. It is preceded by two jewel-like islands: Saint Georg and Lady of the Rocks. Visit of the artificial island Lady of the Rocks is foreseen. The island and its church are the great work of the people from Perast. The church and its treasury will amaze you with its unbelievable story about its building as well as valuable objects, sacrifices of the sailors and noble families. Lunch in a fisch restaurant in the bay. Afterwards drive around the Risan bay to the ferry and back to Budva. Dinner and overnight stay in the hotel. The medieval town, well known as "the Pearl of the Adriatic", has preserved its look of a commercial and cultural hub of the 15th and 16th century, and it is surrounded by impressive, two kilometer long walls. After breakfast You set off to Dubrovnik, driving along the northern part of Montenegrin coast to the border. 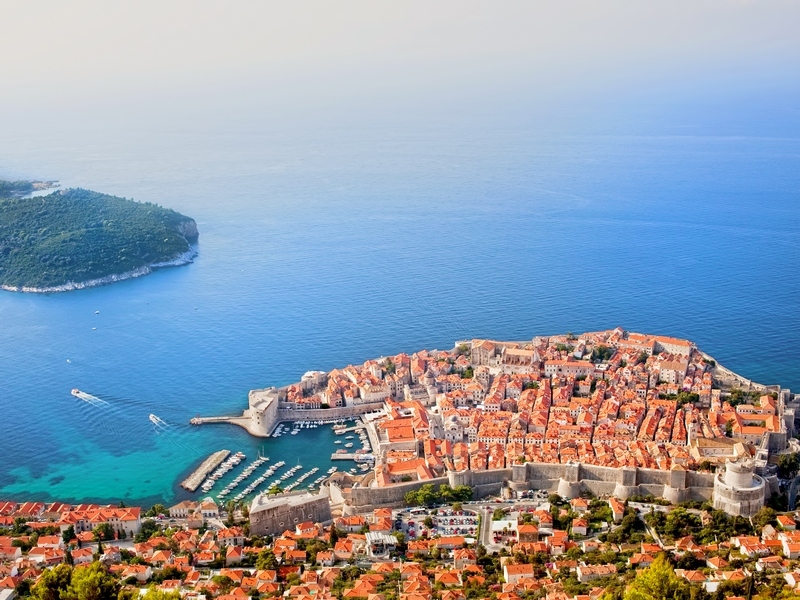 Some 45 minutes after crossing the border into Croatia, You will reach the West Gate of the Old town Dubrovnik. The tour of the Old town, accompanied by the local travel guide, includes a visit to a Franciscan friary, with 14th century pharmacy, walk by Dubrovnik Cathedral’s treasury and other cultural sights of the town, due to which it has been designated by UNESCO as a special protection area. After the sightseeing, there is plenty of free time to walk the numerous streets and squares of the Old Town, while having coffee on the town’s main square in front of the Church of St Blasius is a special experience. Drive back to Budva in the afternoon. Dinner and overnight stay at the hotel. Check-out from the hotel. You drive to the airport and fly back home full of expressions from the small country of black mountains on the blue Adriatic Sea.